Multifunctional sling, recommended by the foundation “The gift for the Youngest” intended for babies from 3,5 to 13 kg ( from birth to 2 years ). 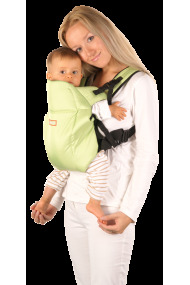 It enables you to carry your baby in several positions. 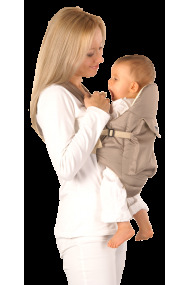 Ergonomic, multifunctional baby carrier intended for babies from 5 to 13 kg ( up to 2 years ). Baby can be carried in both facing in and facing out position. For children from 5 kg (approx.0.79st/11lb) up to 13 kg (approx.2st/28.5lb) - (from about 3 months up to approx 2 years old). Baby carrier For children from 5 kg (approx.0.79st/11lb) up to 13 kg (approx.2st/28.5lb) - (from about 3 months up to approx 2 years old). Two function. Baby carrier for children from 5 kg (approx.0.79st/11lb) up to 13 kg (approx.2st/28.5lb) - (from about 3 months up to approx 2 years old).